(Vatican) The Secretary of State of the Holy See has announced in a decree of January 10, 2013 that Pope Benedict has abolished the association of the faithful with the name Sisters of St John and of St. Dominick. This dealt with a dissident branch of the Johannites. A part of the Soeurs contemplatives de Saint-Jean, the contemplative sisters of St. John, which is a branch of the Johannine Community, had separated themselves from the community. The contemplative female branch of St. John was founded on the 8th December, 1982 by P. Marie-Dominique Philippe. The Archbishop of Lyon established it on March 25th, 1994 as a Diocesan Congregation of Right. It shoujld not be confused with the Apostolic Sisters of St. John, the other female branch of the Community of St. John. In 2007 the contemplative sisters had 342 members, of which 98 had taken solemn vows and 134 temporary vows. The order numbers 40 establishments in Europe, America, Africa and Asia. In the German speaking areas there is one house in Marchegg in Austria. The decree of dissolution proceeded from years of internal conflicts about the founding charism. The Church's expected reforms were not accepted by part of the Sisters. The conflict escalated and led to a break of a part of the Sisters from the Order. Because of this, the cloister in Marchegg has stood empty since the summer of 2012. The dissident sisters founded a new order in Spanish Cordoba with the name of the Sisters of St. John and St. Dominick. On February 24th, 2012 Pope Benedict XVI named Bishop Henri Brincard as the Papal delegate for the sisters. With that the Holy See undertook the direct leadership of the community. Shortly after the Papal delegate reached his concluding report and was received by the Pope in a personal audience, Pope Benedict XVI dissolved the Sisters of Saint John and St. Dominick because of serious offenses against Church Order "with immediate effect". The community may not then constitute itself in any new form. Given the difficult situation, which is taking place with the community of the Contemplative Sisters of St John, inform you, about the brothers of St John, in accordance with the Superior General of the other two congregations of the family of St. John, that the Holy Father, which wants to preserve the unity of the family of St. John, in an audience transcript tells you that he has decided to dissolve the institution of the "Sisters of Saint John and the Saint Dominic," which was brought into life in June 2012 in Cordoba, Spain. Its members came mostly out of the community of contemplative sisters of St. John. The Community of the Brothers of Saint John wants to affirm, through its Superior General, Father Thomas, in humble obedience, its communion with the Holy Father. The Brothers of St. John in close community of contemplative sisters continue in their prayers. They invite the Oblates and friends of the community to work together with them to trust the Holy Father, united to the intercession of the Virgin Mary. So is their "sin" one of not worshipping "THE Council" with all it's errors or have they actually done something that GOD does not approve of? What do they do that is akin to the pure EVIL done by the Erie Benedictines for example? Now if ever there was a coven...er...order of religious witches...um...I mean women...that should be THROWN OUT ON THEIR UN-VEILED HEADS it is they. So really...just what DID these contemplative nuns do that merits this action? I guess I am suspicious given that every un-Catholic and anti-Catholic word and deed is done within the walls of the Church usually gets a pass and only those who remain Faithful get the persecution. Without more information I can only assess this based on the deeds of who oppose them. I am going to try to dig into this on my own but if anyone knows the answer already I would sure appreciate it. That's a very good question and it deserves an answer. Suspicion was also my very first reaction to this. I'll await developments. Here are the "dissidents" to...whatever. http://www.johannesgemeinschaft.at/mehr/ Pretty scary alright. The branch being suppressed is located in Cordoba, which seems to have caused the location in Austria to be abandoned. The article describes the new branch as "dissident", but there's still no indication as to what that means. Thank you for posting that! They certainly don't LOOK like dissidents. I know these sisters well. They are joyous,holy young women who love God. They spend their time predominantly in prayer, adoration and in the study of the truth. It seems that like Jesus they too are to be stripped, humiliated and persecuted. May this suffering ultimately be for the greater glory of God. I also know the sisters of this order well. My family was closely involved with the brothers and sisters of St. John throughout the 90s. After the honeymoon period, what I saw of the internal realities of the sisters and brothers was frightening. 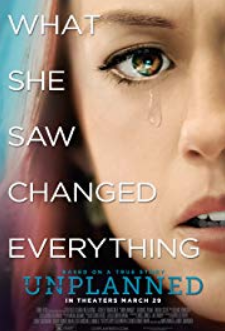 There was an obvious pattern of pushing individuals with severe moral and psychological issues into positions of authority with virtually no discernment and training. Ironically, the Community touted this practice as one of the great "wisdoms" of their founder. Many families were weakened and destroyed by their lack of diligence, including my own. I can say that my entire family's faith and my family itself was destroyed by the horrific experiences at the hands of these wolves in sheeps clothing. The habits and expressions of piety make great cover for these types of predators. My experience of these sisters is in complete contrast to the previous contributor. Infact our families faith has been strengthened and inspired by their example. I'd be interested in finding out what alleged behaviors led to people's families being destroyed. I'd have to imagine they were criminal. I'm sorry to hear about the suffering that you and your family went through. Know that you're not alone. Have you looked into a support group? Might I suggest a community like Regain (A group of former Legionaries)? Or another site such as http://www.life-after-rc.com and http://www.avref.fr/fr/Accueil.html? My heart goes out to you, and I pray for you. I have been familiar with these sisters for over six years. I found them to be a light for our Holy Church... So many vocations ...young women from every corner of the earth ... dedicating their whole lives to God. And this in a very secular time, when the fostering of vocations seems more challenging than ever. Yet the novice mistress and the foundress who nurtured and protected these vocations have been vilified. They are not gurus, this is not a sect. I believe that the darkness will not extinguish this beautiful light. Thank God for their rebirth as the Sisters of Mary the Mornig Star! May Our Lady continue to bless and protect them. They continue their lives of prayer, philisophical studies and adoration as they did before their persecution but now they have a different name: the Sisters of Mary the Morning Star. There are approximately 250 of them in convents around the world. How beautiful to have them here in England! Praise God. June 6, 2009: Cardinal Philippe Barbarin (the ordinary of the Contemplative Sisters of Saint John), in conformity with the Congregation for Consecrated Life,] asks Sister Alix Parmentier, the Prior General of the Contemplative Sisters of Saint John, to resign. He names Sister Johanna as Prior General for six years and asks her to nominate a new council. This decision was due to the discovery of serious dysfunction in the government of the sisters as well as the abuse of power. June 7, 2009: A letter is signed by 30 sisters to express their explicit opposition to the Cardinal’s decisions. August 2009: Following Sister Johanna’s naming of a new Novice Mistress, 50 novices decide to leave Saint Jodard (diocese of Lyon). November 2009: Due to many instances of disobedience towards the new Prior General, Bishop Jean Bonfils, emeritus Bishop of Nice, is named Pontifical Commissioner. 4 sisters who were very influential in the government of the Contemplative Sisters of Saint John (one of whom was Sister Alix Parmentier) are asked by a directive from the Vatican to live in separate monasteries outside of the Community and to no longer have any influence upon the sisters. February 2011: Nomination of Bishop Henri Brincard as the new Pontifical Commissioner. June 29, 2012: Sisters who opposed the Church decisions and left the Community of the Contemplative Sisters of Saint John found the “Institute of the Sisters of Saint John and Saint Dominic” in the diocese of Cordoba, Spain. July 2012: 70 novices leave the Contemplative Sisters of Saint John to join the Institute of the Sisters of Saint John and Saint Dominic. May 2013: Of his own initiative, the Prior General of the Brothers of Saint John revealed that the founder of the Brothers of Saint John and Sisters of Saint John, Father Marie-Dominique Philippe, “had committed acts contrary to chastity with several adult women whom he accompanied at the time”. 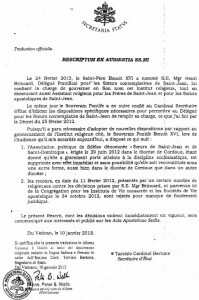 July 1, 2014: Bishop Brincard writes a letter that conveys the decisions specified in a letter written on April 26, 2014, by the Papal Substitute Bishop Becciu. The letter] specifies that the sisters who had left the Community of Saint John can form an association of lay faithful with a view to becoming a religious institute and that 4 former sisters were excluded from religious life one of whom is Sister Alix Parmentier. August 2014: In accordance with the permission granted by the Vatican, the sisters who had left the community of the Contemplative Sisters of Saint John found the community “Maria Stella Matutina” in the diocese of Saint Sebastian, Spain. April 2015: Sister Paul-Marie Moulin is elected as Prior General of the Contemplative Sisters of Saint John. February 2016: Sister Alix Parmentier passes away in Spain. The official document in regards to the comment of Christopher.. why did they keep nearly the same habits as their former community? And why weren't they ok with the reform proposed by the Church? I have an uncle who met them when they first arrived here, and curiously, they never admitted to no longer being part of St John at the time.. In light of the articles that appeared in the media following Pope Francis’s press conference during his return flight from the United Arab Emirates, we would like to clarify some of the points made. The press room director explained that the holy Father used the term ‘slavery’ in order to signify ‘manipulation’, a form of abuse of power that can also become a form of sexual abuse (Source). In addition, the Pope mentioned a community that was dissolved, the Institute of Saint John and Saint Dominic, itself composed of sisters who left the community of the Contemplative Sisters of Saint John (Source). For more information, please see the points of clarification below. Brother Thomas Joachim, Prior General of the Brothers of Saint John, Sister Paul-Marie, Prior General of the Contemplative Sisters of Saint John, and Sister Claire of Jesus, Prior General of the Apostolic Sisters of Saint John, condemn every situation of sexual abuse and abuse of power. Following Pope Francis’ lead and in communion with him, they reaffirm their clear resolve to eradicate any and all abusive situations. Each of the Prior Generals expresses their deep sadness to the women who generously offered their lives to God and found themselves to be victims of such abuse. For many years now, the Brothers have taken a proactive stance to prevent abuse and to respond quickly and effectively to the cases of abuse that have taken place. These proactive measures include, but are not limited to: better vocational discernment, emotional maturity formation and procedures validated by the Vatican for dealing with cases of pedophilia and sexual abuse. These procedures imply full transparency and transmission of information to civil authorities as well as the creation of a commission composed of professional lay persons to examine carefully every testimony, complaint or admission of an abusive behavior. The sisters who did not agree to cooperate with the reform proposed by Church authorities in 2009 left the Community of Contemplative Sisters of Saint John in 2014 and founded a new community in Spain under the name of ‘Maria Stella Matutina’. This followed the dissolution in 2013 by Pope Benedict XVI of the sisters’ first initiative to form a new community, when they took the name ‘Saint John and Saint Dominic’. In 2014 Pope Francis permanently removed from religious life the four sisters who held positions of authority in the pre-reformed government of the Sisters. They were opposed to the decisions made by the Church authorities and promoted the division that took place among the sisters. For many years now the Sisters and Brothers of Saint John are committed to rebuild and change what needs to be corrected. This is being done in complete collaboration with Rome and competent external assistance.